Our kitchen decorated with unique dishes, where the secret is in the choice of ingredients, always fresh and purchased daily to offer you the highest quality. We offer our clients the opportunity to choose between two kinds of menus (meat or fish) with fruit and dessert, accompanied by a rich and tasty buffèt to satisfy every kind of customer. 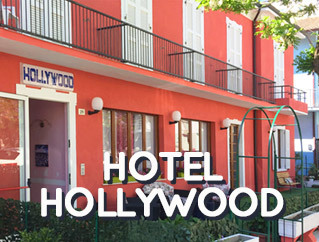 The awakening will be accompanied by a real "continental breakfast" or sweet and savory breakfast for excellence, where we offer all the quality and authenticity of our production"
The rooms are cozy and furnished to the smallest details, offer tv, private bathroom, wi-fi, safe deposit box, air conditioning (in addiction). Possible balcony with sea view from some rooms. Roberta Hotel has an agreement with the beach 78-83 Lido delle Sirene. The beach offers: swimming pool, jacuzzi, gym, table tennis, playground for children, beach volleyball, animation team, bocce games, self-inflatable motorboats for children, nursery cabin and pedalò boats. Mini Club: free baby sitter of the beach 78-83 will take care of the children for our customers while the parents can relax in the sun enjoying the holiday.